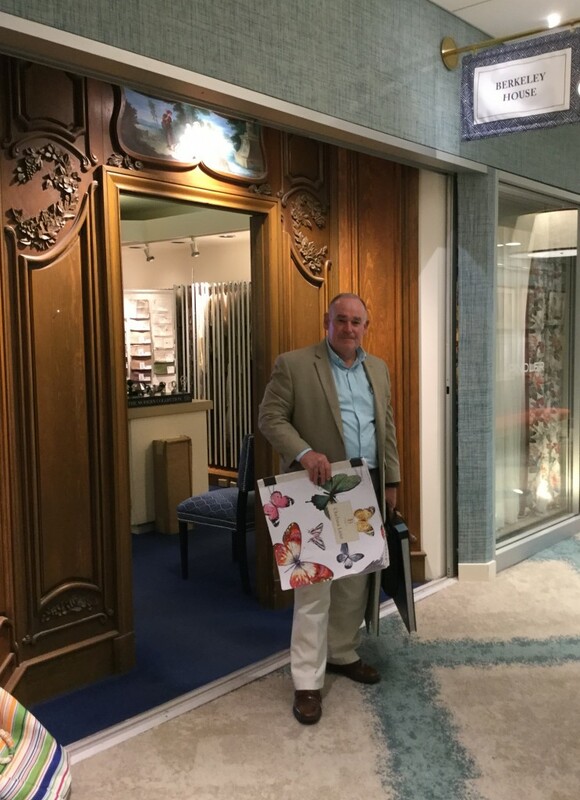 Today we visited the Boston Design Center where the Berkeley House showroom sells the designer brand “Jaima Brown Home.” It’s a lovely showroom and the president, Jim Agostino is just a delight to work with. 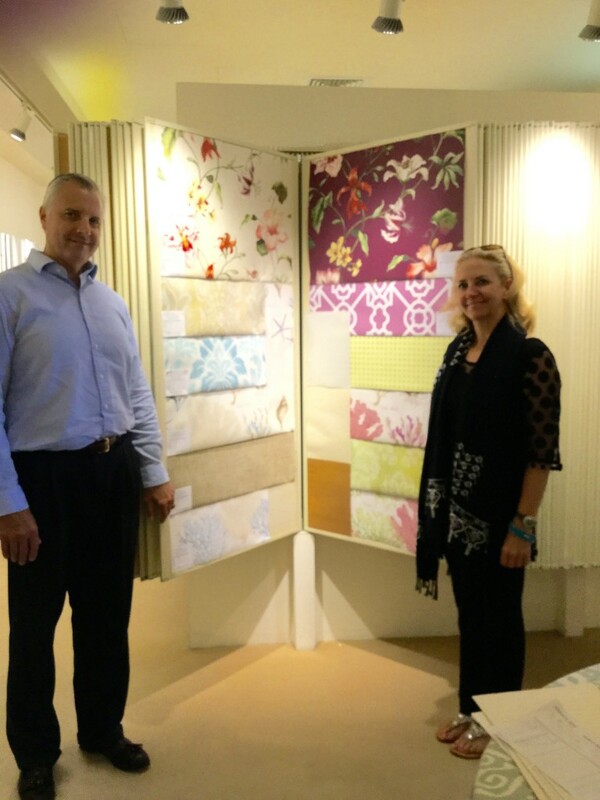 We shared stories from the past and showed Jim our up and coming Chelsea Lane Collection which contains freshly colored wallpapers and fabrics that is launching this fall. We are excited to say, Berkeley House is going to hang the Charleston Mural from the Charleston Home Collection in their front entrance. Thank you Jim for all your support and for loving Jaima Brown Home over the years. Cheers! 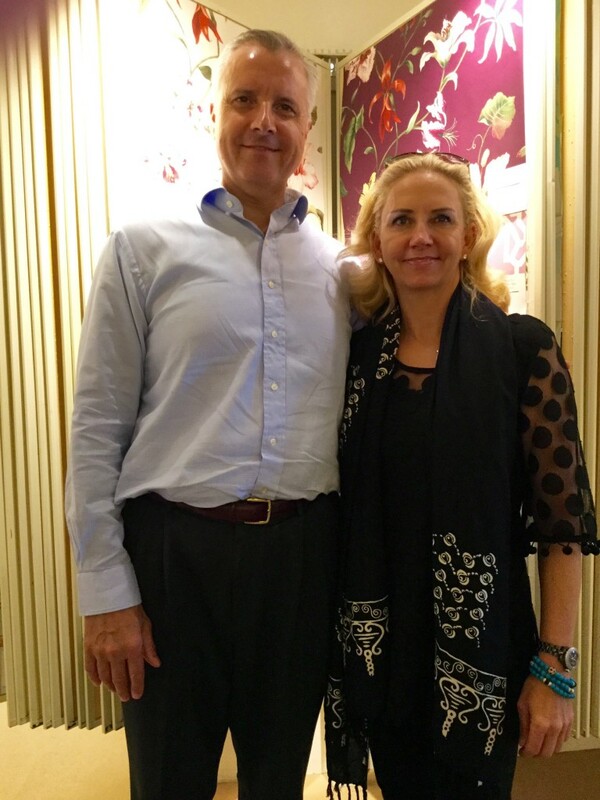 Charleston Mural to be hung in the Berkeley House Showroom in the Boston Design Center. All photos copyright of Jaima Emmert 2015. 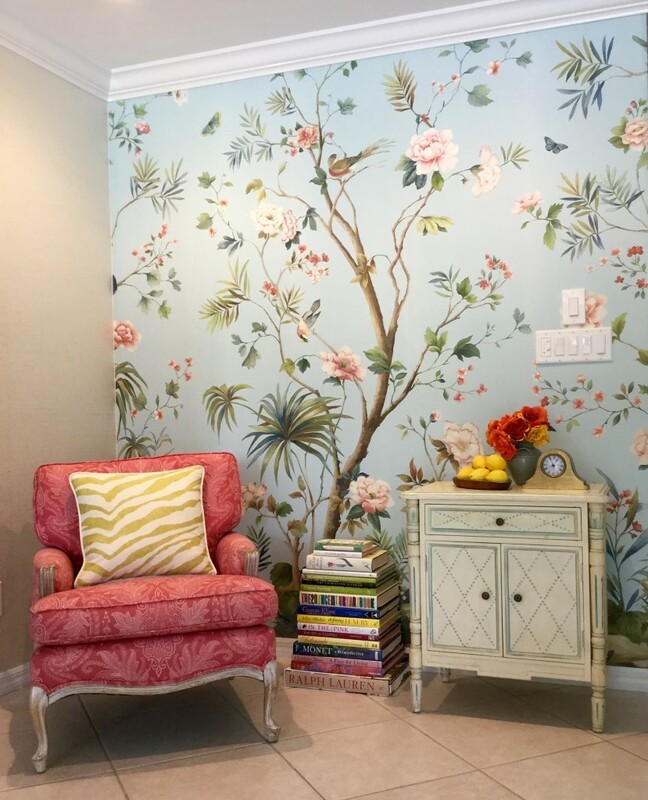 Mural from Charleston Home Collection by Jaima Brown Home.